Those last few words are particularly important, because they point to litigation rather than ethics as motivation for the act. The act passed in the House, received a majority vote in the Senate but not the 2/3 vote required until December 20, 2010, the last day of the lame duck session of Congress. It was signed by President Obama on January 2, 2011, but it was not without compromise. Funding for the act was reduced from $7.4 billion to $4.2 billion, providing health care and monitoring for only five years instead of ten. The memory of 9/11 has been strategically employed to fund two wars that Joseph A Stiglitz (Columbia University) and Linda J. Blimes (Harvard University) estimate at running a tab over $3 trillion, (see their book The Three Trillion Dollar War: The True Cost of the Iraq Conflict) yet we have failed to remember the 9/11 rescue workers who risked their lives in the service of others. 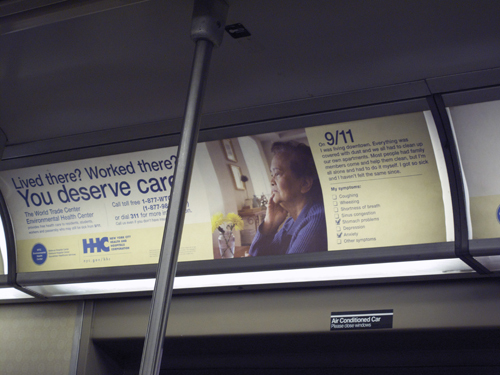 You are currently reading Health and Compensation at After 9/11.